An electrical fault has left a school in Ceredigion without electricity or heating. 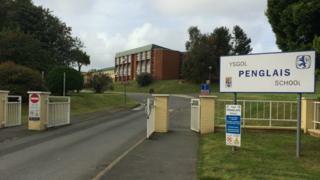 Ysgol Gyfun Penglais, in Aberystwyth, will be closed on Friday. Scottish Power checked the building on Thursday and did not believe the problem could be solved overnight. Head teacher Mair Hughes said in a message to parents that she was "hopeful" the issue would be fixed by Monday. The school, which teaches about 1,300 pupils, will post an update on the situation on its website on Sunday.